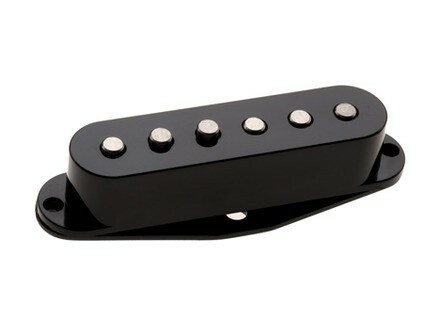 DP419 Area '67, Stratocaster guitar pickup from DiMarzio in the Hum-canceling Strat series. 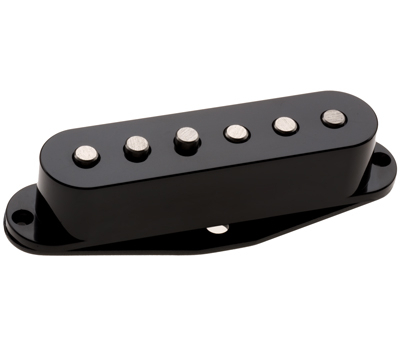 DiMarzio has released the DP 419 Area '67 single coil pickup for electric guitars, a new model which aims at resurrecting the spirit of '67. According to the brand, the inspiration for this new model is to be found in the legendary performance of a real guitar master at the Monterey Pop Festival of 1967. Back then, single-coil pickups were bright and very clean -- yet, they hummed!... DiMarzio claims to have captured the classic bright and clean sound while totally eliminating the hum with the brand's patented Area™ technology. Magnet pull was also reduced by 40% for improved sustain and clarity. According to DiMarzio, the Area '67 has the chime of '60s pickups, and the 2 and 4 positions are light, bright and quack-happy. Recommended for all positions, especially neck and middle. No MSRP available.